Well one thing is for certain and that is football season is upon us, perfect time to dig out your scarf and gloves. It’s is also the perfect time to get your home appliances checked. Appliance doctor services Manhattan, the Bronx and Westchester County with speedy professional service on all major appliance brands. Established in the local community for over 30 years, customers agree the Appliance doctor is the trusted name in appliance repair and specialist appliance fitting in New York. Is Your Washerin Need of Repair? If you have an old washer that is making strange noises, leaking water or you just can’t get the thing to stop shaking, then you need to give the crew at Appliance doctor a call. They specialize in the repair and service of most major brands of washers. Appliance doctor technicians are certified with the latest training. They use state of the art diagnostic tools too efficiently pull off a same day emergency call throughout the greater New York City area. So let’s get this straight – Emergency on-call same day appliance repair, certified technicians, 37 years local experience and state of the art equipment?You could be thinking this type of service comes at a premium price? 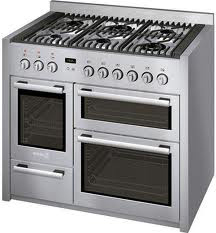 In fact Appliance doctor has very attractive rates on all appliance repair. Time and again customers find a house call from the Appliance doctor is far more affordable than a regular service call from the manufacturer. Whether your new space age washer is beeping at you or you need to squeeze a couple more seasons from the old one. Let the appliance doctor repair specialists handle it. Tis the season to make sure your dryer is up to the task, does your dryer stop mid cycle or refuse to run at maximum heat?Is it trying to leap off your laundry wall of maybe it just needs a new filter? Appliance doctor can have things up in running quickly with no jobs to small on most major brands.We are proud to be authorized service agents for Bosch, Thermoform, Fisher & Paykel, Miele and Asko. For all your New York City dryer repairs speak to a specialist at Appliance doctor. This entry was posted in Dryer Repair, The Appliance Doctor. Bookmark the permalink.